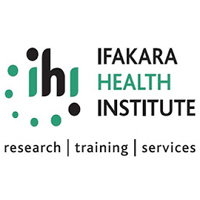 Ifakara Health Institute (IHI) is a leading research organization in Africa with a strong track record in developing, testing and validating innovations for health. Driven by a core strategic mandate for research, training and services, the Institute’s work now spans a wide spectrum, covering biomedical and ecological sciences, intervention studies, health-systems research and policy translation. IHI is looking for a Motor Vehicle Mechanic to fill a vacant position in our workshop. S/he must be specialized in servicing and repairing all automotive vehicle systems.  S/he must ensure that the institutional garage and its fleet is well managed and maintained at high standard, with strictly adherence to relevant institutional policies, guidelines, rules and regulations.  Ensure all institutional vehicles and motor cycles are well serviced at the right time, right intervals and at high standards as per vehicle/cycle manufacture specifications.  S/he has to conduct and supervise the inspection of motor vehicles and motor cycles brought at the garage to identify reported faults and identify other problems/faults and rectify.  After conducting vehicle servicing, inspecting and taking road tests before authorizing the use of vehicle to end users.  Be a custodian of site garage through supervision of maintenance/repairs happening at the garage.  Ensure hand tools/equipment are kept in safe place and their records are updated.  Ensure that all spare parts issued during maintenance/repairs are fixed in vehicles and motorcycles as requested/recommended in a professional way.  Assist the Storekeeper in identifying spare parts needed by the institute when the former orders spare parts and consumables.  Assist store keepers at branch level and head office to ensure IHI receives right quantity, quality and genuine spare parts and consumables from suppliers.  Use the tools available at the garage to diagnose and identify electrical and mechanical faults.  Develop and execute a repair plan for issues reported by drivers (or transport unit) for institutional vehicles only.  Make sure that electrical devices installed in institutional fleet work properly without interfering with vehicle’s interior electrical systems.  Make sure any fault caused by reckless driving is reported to the respective Transport Officer/Manager for immediate action.  Develop, maintain and update fleet preventive maintenance plan for IHI vehicles and motor cycles.  Ensure maintenance records for all repairs carried out at the institutional garage are captured and reported.  Ensure timely submission of monthly vehicle maintenance/repair reports to the Transport Officer at the branch level.  Ensure institutional fleet operates at optimal cost without compromising quality of the service provided at the garage.  Advise Branch Transport Officer and the Transport Manager on repairs/maintenance which might require high cost by providing alternative or options for the same.  Perform any other duties assigned by his/her immediate supervisor.  Must have completed at least Form Four level of the Tanzanian education system.  Must be a motor vehicle mechanic technician with Trade Test Grade One certificate from VETA.  Must have knowledge of operating electronic engine diagnostic machine.  Three years and above experience of working as a Mechanic in a reputable garage or company in General Mechanics Work and Auto Mechanics.  Be able to rectify electric faults in various vehicle models such as Toyota, Nissan, Ford Ranger, Freelander, and Suzuki.  Conversant with all mechanical and electrical issues for common type of vehicles, such as Toyota, Nissan, Suzuki, Freelander and Ford-Ranger.  Must be computer literate, with basic knowledge of Microsoft Office applications.  Knowledge in fleet management system will be an added merit.  Flexibility in working hours.  Must demonstrate high integrity in his/her area of responsibility.  Competence at work and high capacity in reasoning when facing pressure in technical problems.  Must be conversant with basic forms.  Must be able to speak and read Kiswahili and English languages.  Must be good in keeping records of any work done or spare part fixed in motor vehicles/motor cycles at the garage.  Be able to compute direct cost and revenue generated from servicing project vehicles and motor cycles. All candidates who meet the above job requirements should send their application letters together with their detailed curriculum vitae (CVs) showing contact addresses including email, telephone/cell phone numbers and copies of academic and professional certificates to the address below. The deadline for this application is September 7, 2018 at 1700hrs.